Moving company managers are faced with a rapidly changing environment. Increased competition, rising customer demands and escalating wages all put pressure on executives to look for opportunities to drive costs down in their business through more efficient processes. Thankfully, with advancements in technology, there are ways to increase efficiency, while also improving the customer experience and increasing business visibility, and decrease costs at the same time. Here are our top 12 tips for incorporating technology to your moving operations. Have more suggestions? Contact us – we’d love to hear about them! 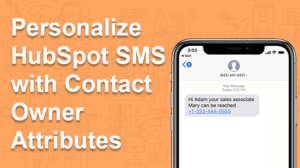 A big step towards integrating moving company technology means minimizing data entry and empowering your sales team with mobile estimate creation. Your sales team can create, edit and send job estimates while in the field. Offline Data Capture – Look for an estimate creation system that will also work while offline. Not all customer sites will have a working WiFi or cellular connection. Full Mobile Support – Ideally your estimate software will work on tablets as well as mobile phones. Linked System – Linking your job software will minimize manual data entry and duplicate work. Customer information like addresses, accounting terms and historical jobs can be automatically loaded. 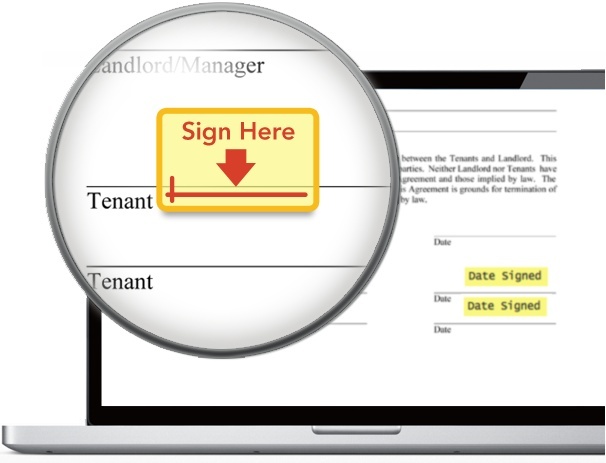 Both you and your customers will appreciate the simplicity of digital signatures for your moving company contracts. Avoid the printing, scanning and the back and forth of emails with a digital signature service like DocuSign. Copies are easily kept and the document files can be integrated into your accounting and moving software. You can save time with data collection in the field by preloading or pre-populating move information from your customer. 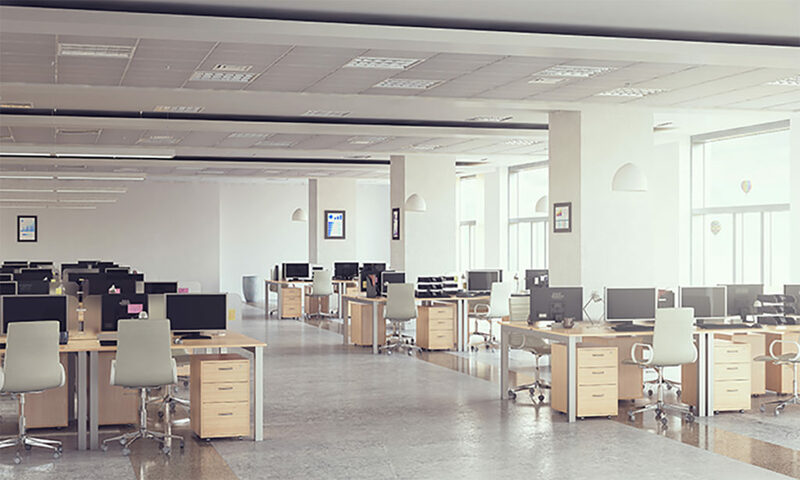 Most medium and larger commercial moving company customers will already have employee information in their facility management system, leverage that data to improve the speed and quality of the move. 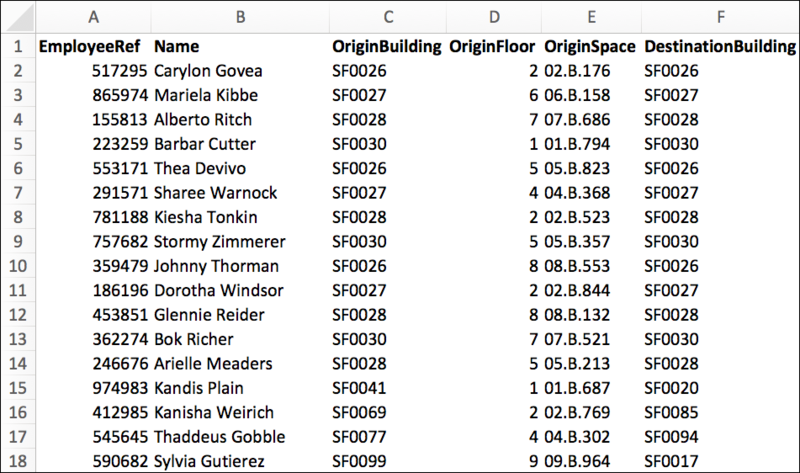 With a CSV or text file or API integration from your customer, job information like employee names, origin and destination locations can all be preloaded to your system on pre-populated on labels and move sheets. As an additional benefit, if your customer has the information, you can also preload the expected items to be moved, including computer hardware and asset tags. You can improve the customer experience by moving technology to digital notifications of moves. 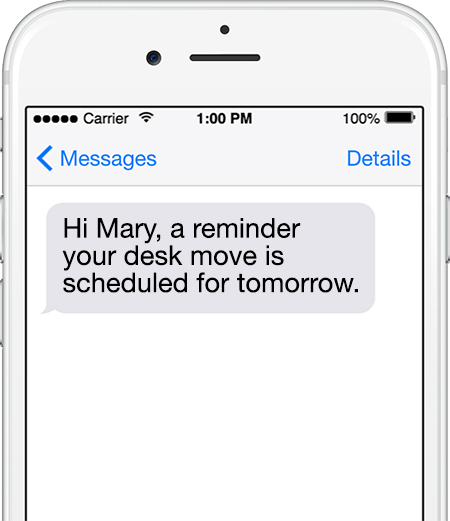 Instead of paper, send email or text messages to all impacted employees about upcoming moves and notification of job completion. Systems like the bulk text messaging from Sakari. make this simple. Personalized alerts or reminders can be sent in bulk, saving your team time and money in daily management. Measure job efficiency in real-time of your movers has always been difficult. With advancements in technology, task management software can provide real-time visibility, closing the historical gap. Using a task management system, each item moved is barcoded, and each mover has a handheld scanning device. When each item is moved, it is scanned by the mover, and images, asset tags and condition reports are collected. As this information is collected by your team, it’s pushed in real time back to a central dashboard, providing the business complete visibility to the move as it happens. When notifying your move team of their daily job assignments, instead of phone calls, voicemails and paper assignments. 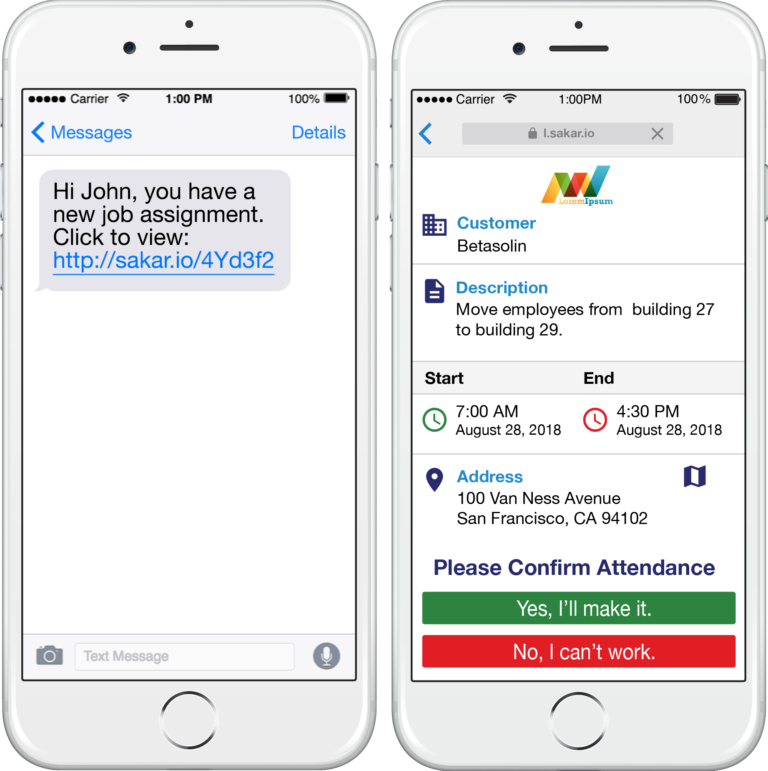 Notify your team of their daily jobs through a text message with linked job information pages. Systems like Sakari make this easy. If your customer provided task information before the job, move assignments can be preassigned to your team so they can start working on the job right away (e.g. task assignment by floor or building can be preassigned). Each employee will have a clear list of stations (tasks) to be performed, and the management team can monitor job performance in real-time using the mobile tasks management dashboard. Sharpen the pencil on your highest expense – labor. Using a mobile timekeeping system to see exactly when your employees clock in and out. Most system also include GPS tracking so you can see the exact location of the employee at the time of time entry. Accurate timekeeping, when combined with tasks performed over the same time period, allows for the calculation of efficiency by job and employee. 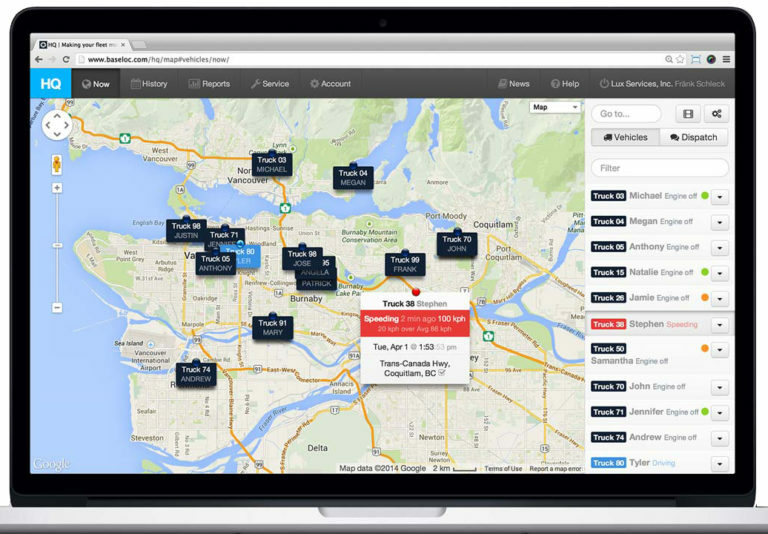 Add GPS tracking to your moving company trucks and never question where your team is. All systems feature real time dashboards allowing you to monitor every truck in your fleet at once, some also have onboard cameras to monitor your crew and review accident footage as well. Reduce the headache and wasted time of finding lost items! Incorporate a QR (Quick Read) barcode on to your moving company labels so each item can be tracked. 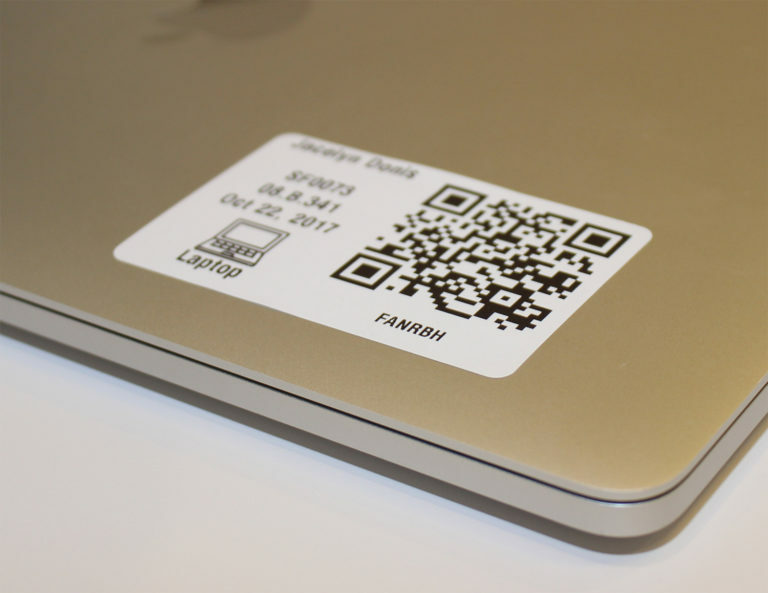 Track Everything – Using QR barcodes with mobile task management system, every item moved can be tracked in real time. Find Lost Items – Missing download inventory reports, and monitor the performance of your move team. Measure Your Team – With the mobile task management software, you’ll never have questions about the efficiency of your move team. Each app activity is date and time stamped by employee, so you can track efficiency of every job, for every employee. Monitor The Job – Stay ahead of potential problems with your moves with real-time job metrics. Monitor the progress of a move on site or remotely from a job dashboard. View real time scans, activity reports, and progress to goal. After the job is complete, mobile timekeeping and task management will minimize the amount of manual data entry required from the moving company for customer invoicing. Item Count Reports – Exports of item count reports can be pushed directly to your accounting system for customer invoicing. Employee Hours – Your mobile timekeeping system can automatically push labor hours by employee to your HRIS or payroll system.